Sprawling over 20+ acres, the Texas State Capitol is a great place to visit. 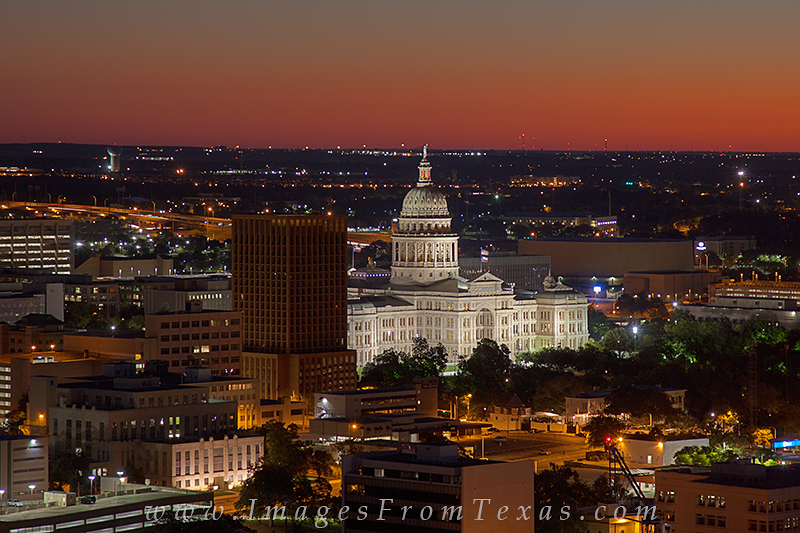 This Austin images shows the the capitol about 20 minutes before sunrise as the Texas sky begins to glow a deep orange. Photo © copyright by Rob Greebon.